Mixco Viejo or Jilotepeque Viejo is an archaeological site located in the municipality of San Martín Jilotepeque, northwest of the department of Chimaltenango, 60km from the capital city. Built in the early twelfth century on a hill overlooking the confluence of the Pixcayá and Motagua rivers. The ruins was earlier confused and associated to Postclassic Poqomam capital city, when in fact it was the oldest city of the kingdom of Kaqchikel. Today, it regains its ancient ceremonial city name Chuwa Nimaabj, a victory to the indomitable desire of the Kaqchikel nation to give the identity of the nations of Mayans and the real history of Guatemala. True to its name, Chuwa Nimaabj which means “in front of great stone” in Kaqchikel language, the site showcases ruins of a great stone fortress surrounded by canyons, with a single entry, that allowed its people to have an advantage over their enemies. In this way, it was easier to protect the city, and detect enemy threats ahead as they approached. Also, the location of this Mayan city demonstrates an excellent example of the preferred location of the ancient inhabitants, in the upper part of a valley. It was one of the few that were inhabited and working at the time of the Spanish conquest. The site may originally have served to control the economics of the valley, for a short distance passing the Motagua River, which in ancient times was a trade route for goods to what is now the area of Zacapa and Chiquimula. Vegetation, climate, and the nearby river offer a fairly privileged natural setting. Also, it is quite remarkable the presence of bird species in the area that makes it a nice spot to enjoy bird watching. This type of climate is often serves as a bird house for species of vivid and intense colors. If you’ve visited other archaeological sites with ancient buildings in Guatemala, the first thing that catches your eyes in Mixco is the difference on the style used. It differs from the typical and famous Tikal. The ruins are divided into 15 groups, with at least 120 major structures, including temples, palaces, 2 ball courts for Mesoamerican ball game. 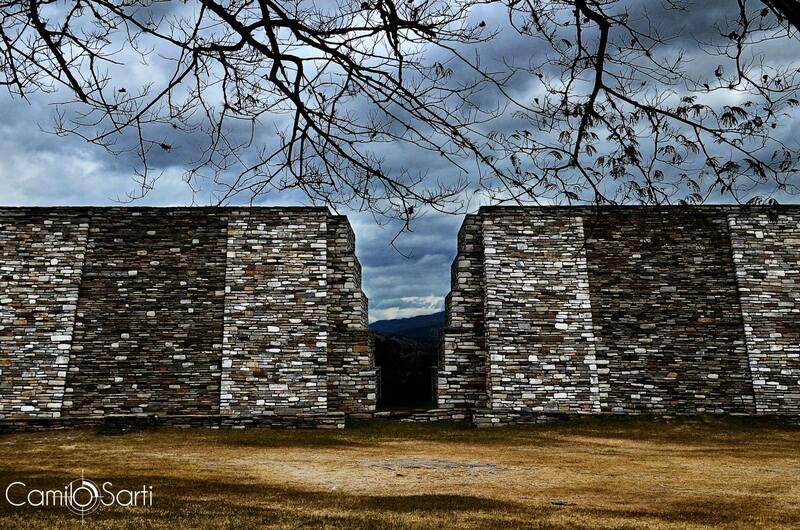 Mixco Viejo or Jilotepeque Viejo is a fortress of culture and history. Did you enjoy these bits of information about Mixco Viejo? And want to read more from The Mixed Culture?, then make sure to subscribe to my mailing list to get my latest blog straight from your inbox. Or, follow me on Facebook or Instagram for the latest scoop from me. Feel free to email me for any questions or comment below.